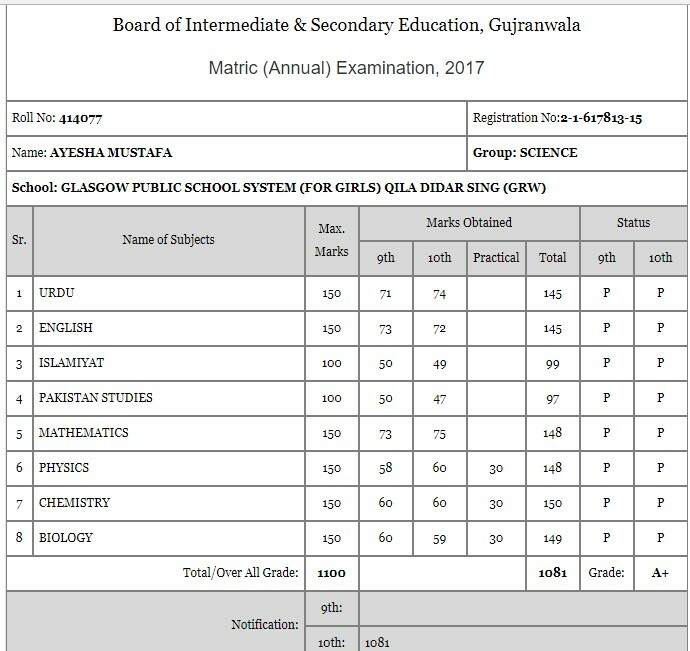 Here you will see the toppers and the positions holder of BISE Gujranwala for matric with their name, school name, address and the result. 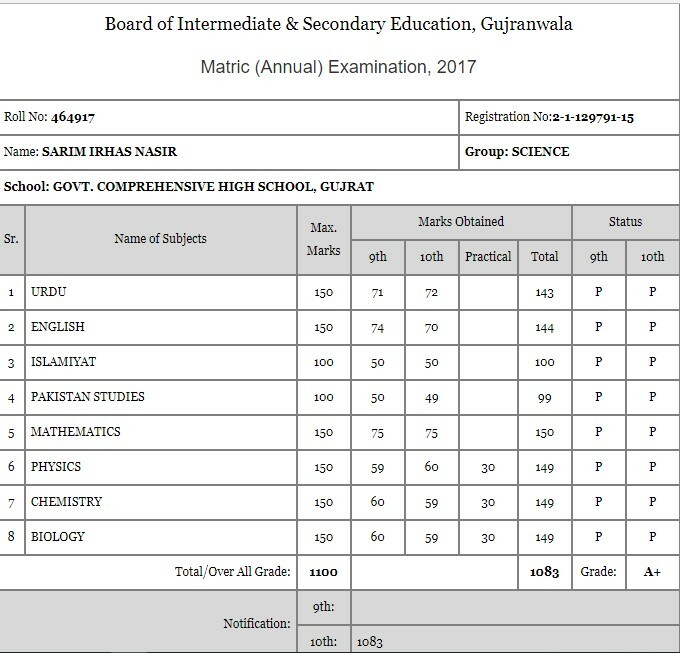 We have already published the toppers of BISE Rawalpindi and BISE Lahore for 10th class. Now it is time for BISE Gujranwala. 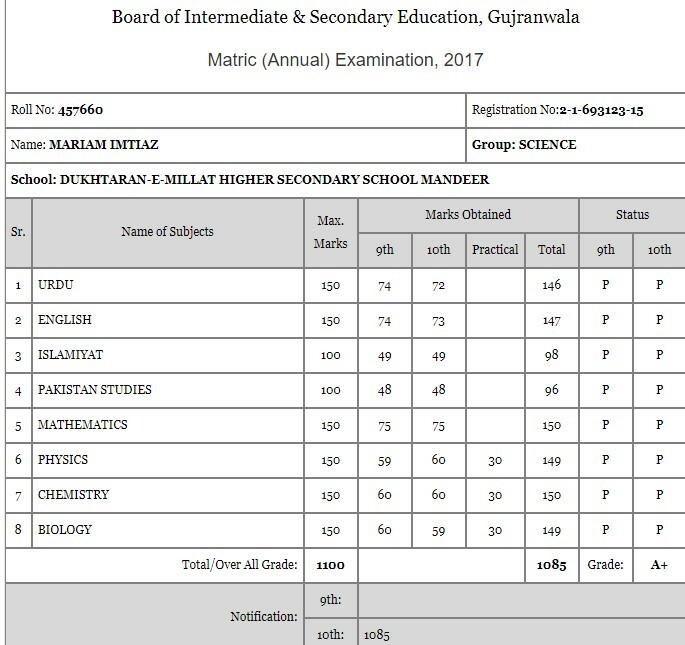 The toppers performed really well like other board exams. But the trend is same: girls are getting most positions in all the boards of Pakistan. In Rawalpindi Board, all the positions are secured by girls. 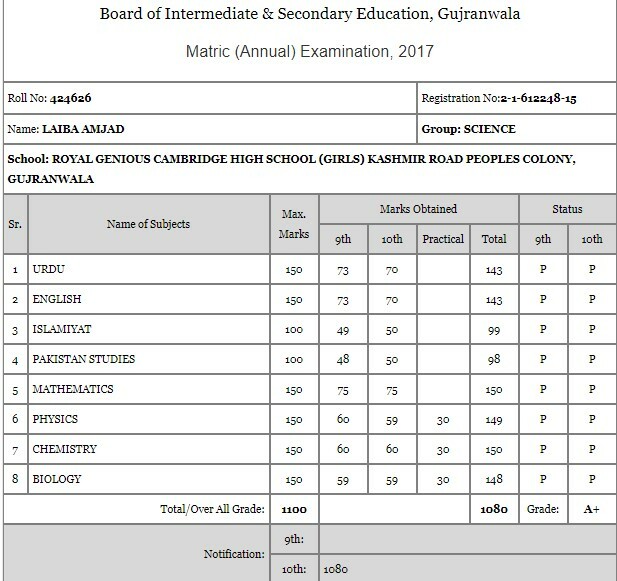 If you want to know how toppers get such marks, then I wrote an article Secrets to getting 1000 marks in Federal Board & Punjab Board. 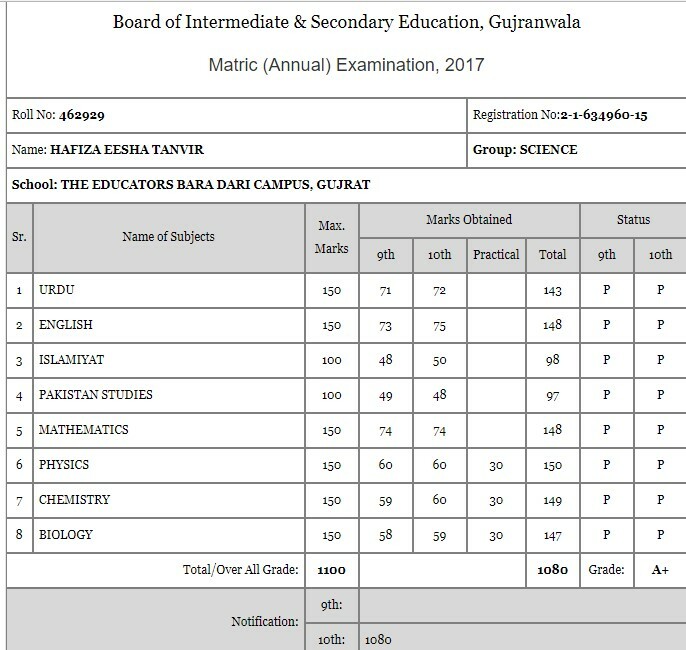 Two girls got 1085 marks out of 1100. 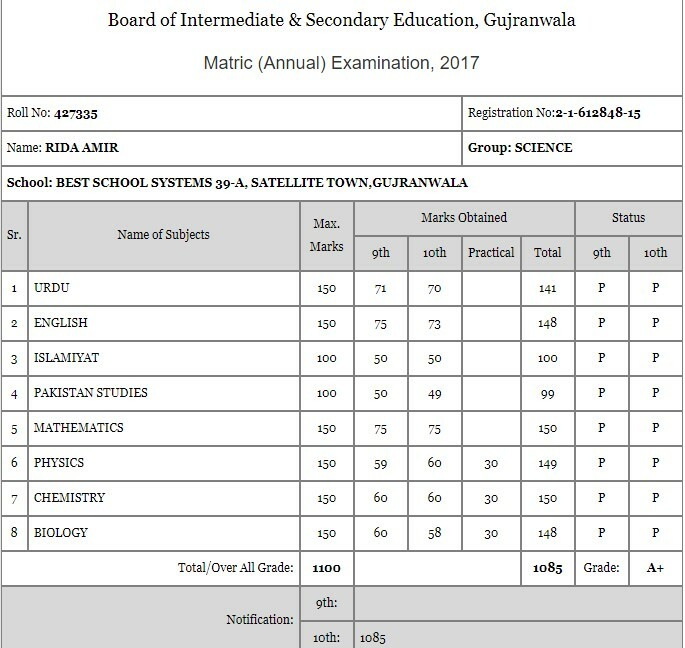 Rida Aamir from Best School Systems 39-A, Sateliite Town, Gujranwala. 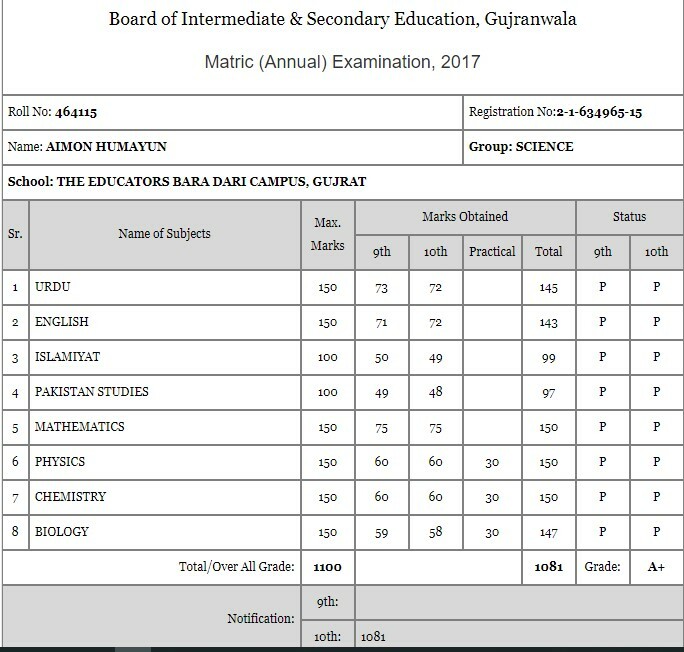 He got 1083 marks out of 1100. He was a student of Govt. Comprehensive High School, Gujrat. His roll number is 464917. 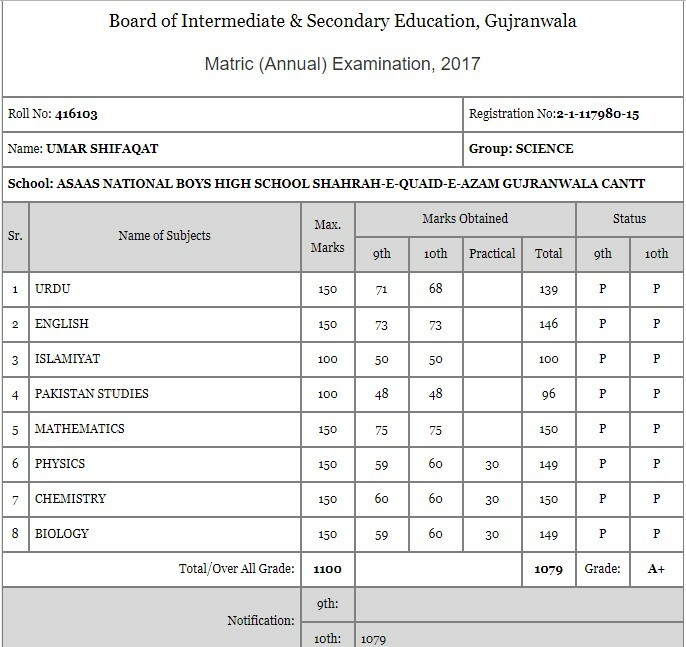 Three students got the 3rd position by getting 1081 marks. 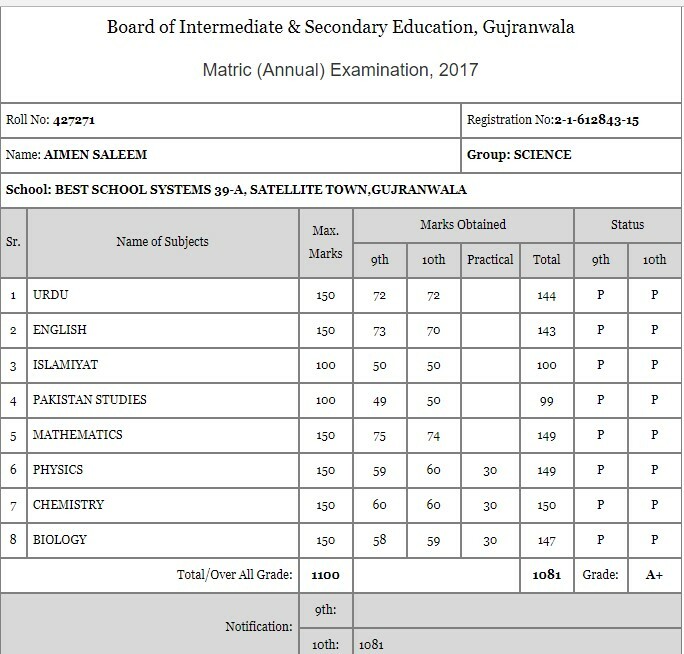 Aimen Saleem from Best School System 39-A, Satellite Town, Gujranwala. School: Best School Systems 39-A, Sateliite Town, Gujranwala. Marks: 1085 marks out of 1100. Marks: 1081 marks out of 1100. 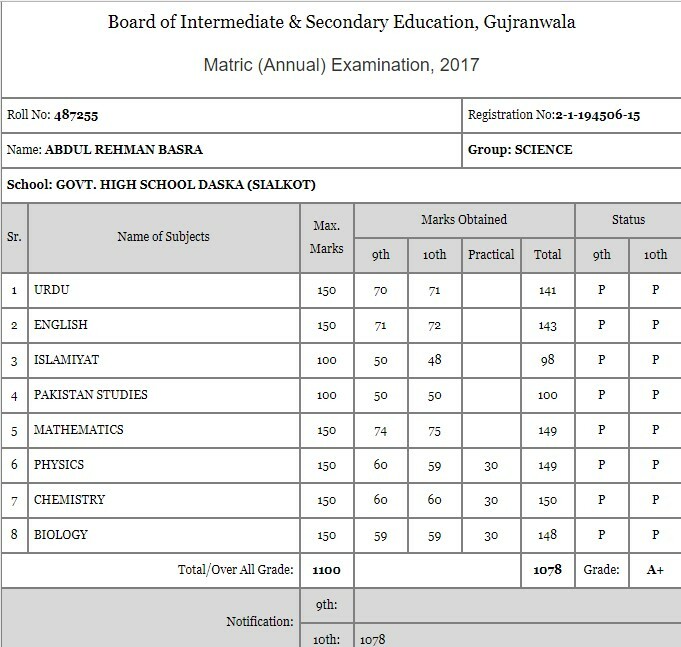 Marks: 1080 marks out of 1100. Our Top Study World team wishes the toppers, and May Allah bless them with more success in the future. 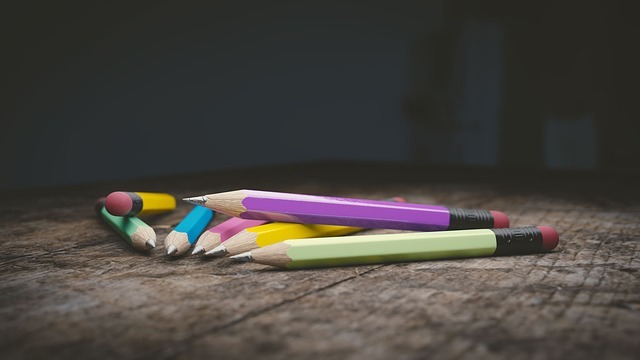 Are you looking for the toppers and position holders of every group with their results, school name and marks? Then you have come to the right place.